The changing seasons bring with them changing opportunities to experience wildlife and connect with nature in our parks. As the summer comes to a close, nature begins its autumnal preparations for winter. With autumn comes spawning salmon. With salmon come bears. 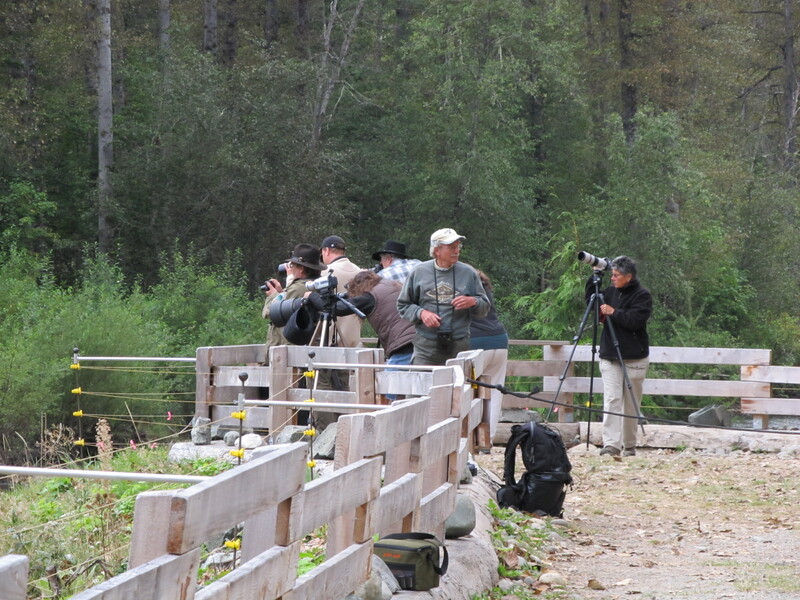 With bears come…people – from far and wide, hoping to get a chance to see and connect with these impressive, imposing, beautiful animals. Visitors flock to the Bella Coola Valley and Tweedsmuir Provincial Park in September to take their turn on the Belarko bear viewing platform (open September 1st to 30th). 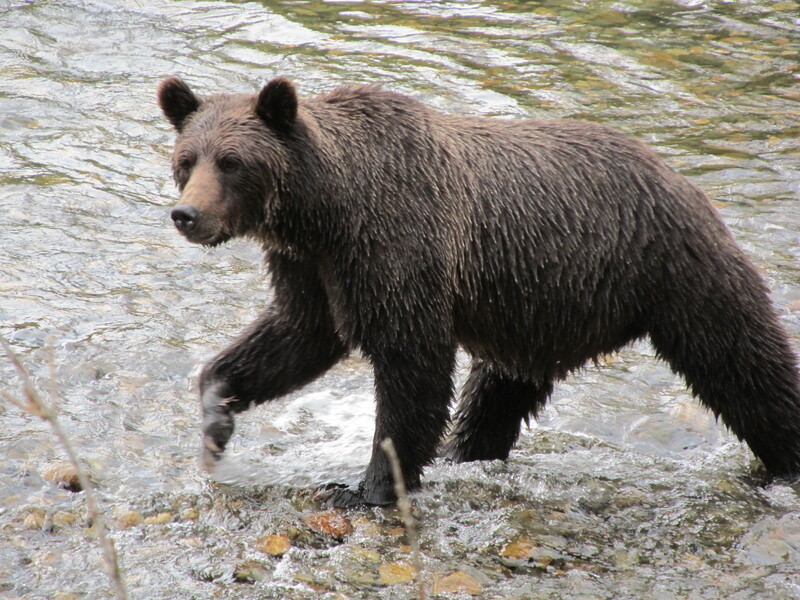 Grizzly and black bears congregate along the Bella Coola River and its tributaries to feast on the abundant spawning salmon. It is an experience of a lifetime for visitors, but what is it like for the bears? 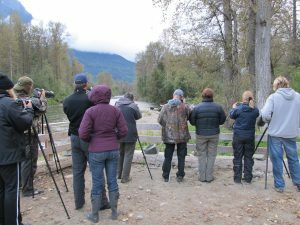 This year, BC Parks partnered with Camosun College’s Capstone program to develop a tool for BC Parks staff and scientists to monitor the impact that bear viewing has on bears. BC Parks staff will spend time watching the bears and recording their behaviour, and how it changes when bears interact in some way with humans. What do the bears do when they hear voices on the platform? When a boat passes by in the water? When they hear the sound of a vehicle? In September 2016, we will be trying out this tool for the first time, and hope to gather data that will help us refine bear viewing opportunities to make them meaningful to visitors without having a major impact on the bears. And remember, bears are potentially dangerous wild animals, but can be easily impacted by human activities. 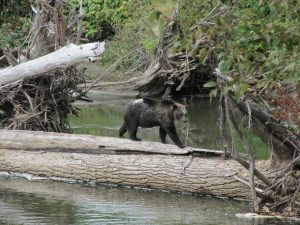 Please check the appropriate park website before visiting for information about bear safety and any restrictions that are in place to protect bears. 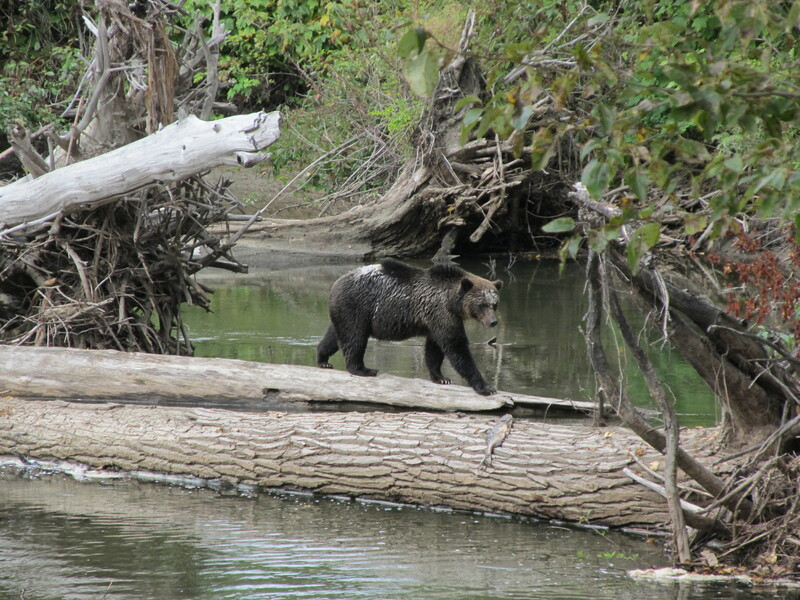 In Tweedsmuir, for example, bears are abundant in the fall. Please note that certain areas are closed between September 1st and October 15th and that visitors should be extremely cautious when fishing, hiking and camping. 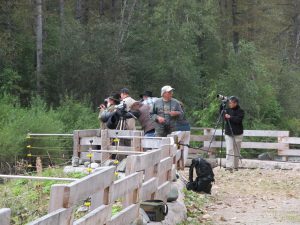 Peak bear viewing season is between September 1 to October 15th, with the Belarko Bear Viewing Platform operating between September 1 – 30th.